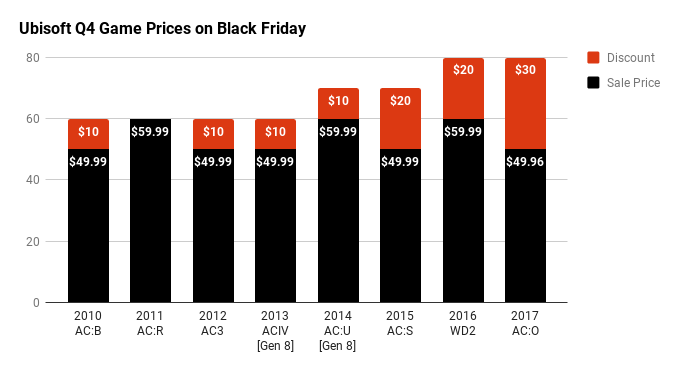 It’s that time again to look back and see how Black Friday of yesteryear compared to years prior. I plucked deals from 2010-17 and tried to pick popular titles with wide availability. After a Watch_Dogs break in 2016, Assassin’s Creed returned with Assassin’s Creed: Origins in 2017. The return of Assassin’s Creed also marked the return of the $50 sale price during Black Friday. Call of Duty: WW2 continued to the pattern of knocking $30 off the MSRP. 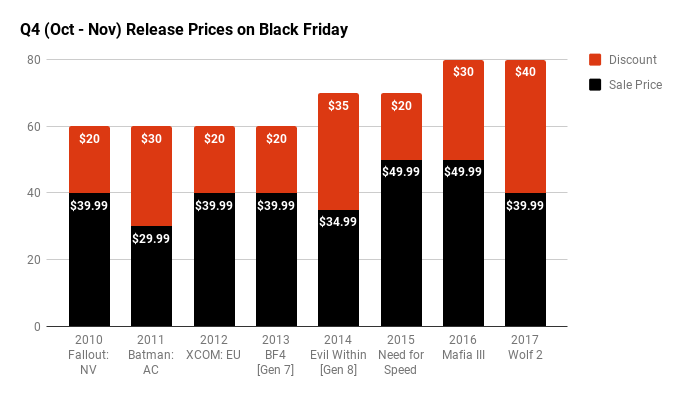 Discounts remained relatively unchanged across recent and older releases. 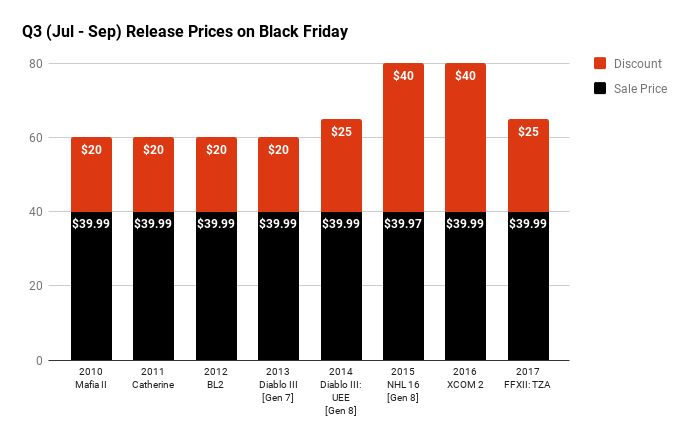 If you’re in the market for third party releases, expect sizable discounts during Black Friday. As for first party? That can be tricky. 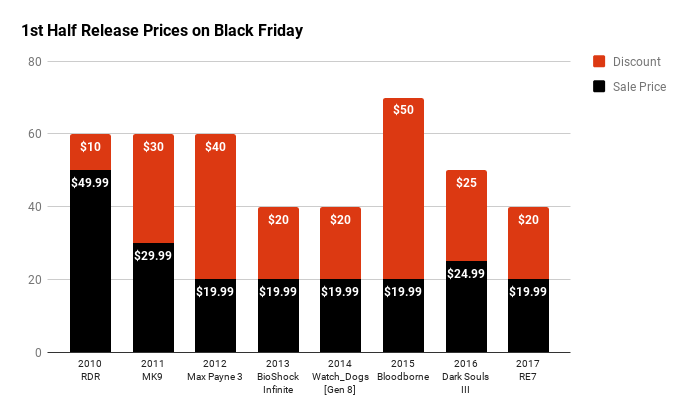 You should not be paying full price for Call of Duty or Assassin’s Creed titles; they often receive discounts on Black Friday. The weakened Canadian dollar caused MSRP to rise but the discounts didn’t deepen to compensate. 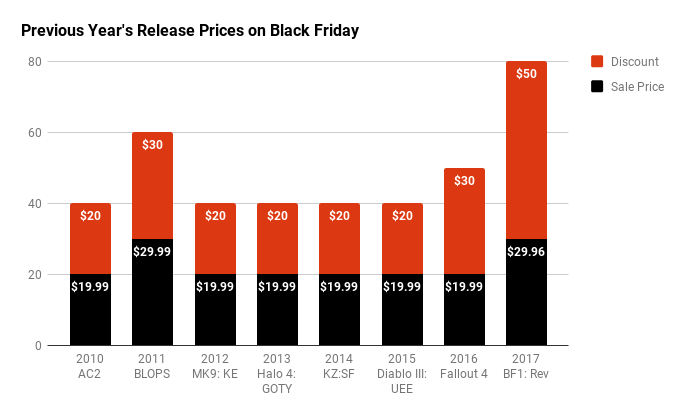 Black Friday isn’t meant for “full time” bargain hunters; it’s for the masses who don’t keep tabs on the latest deals or did not get a chance to use the usual E3 pre-order discounts.